We were still hoovering up the left over Elf body parts (we think they grow back… probably) from today’s earlier mass smushing when this came barrelling down the corridor in pursuit of a group of fleeing Elves. Fortunately what is a terrifying Monster Truck of Death to the Elves is a Smallish Remote Control Toy to us, so it was duly picked up and the piloting Elf found and ejected from the office. 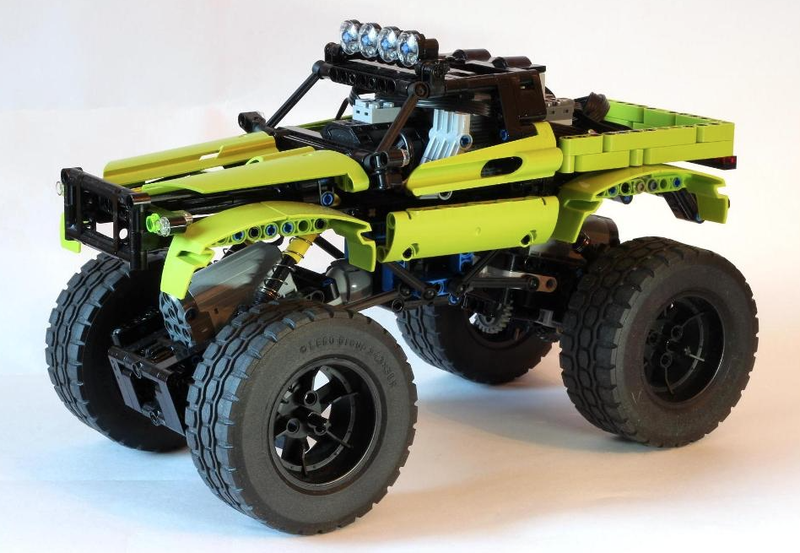 A Smallish Remote Control Toy it may be, but we can confirm that paave‘s buggy-motor powered, all-wheel-steered and all-wheel-drive ‘Hulk’ monster truck is riot to drive. So much so that it was sorely tempting to go on smushing rampage of our own. You can see more of the Hulk on both MOCpages and Eurobricks – click the links to make the jump.